Portable laptop computers are available in a dizzying array of configurations and price points. In many cases, you don’t actually need to spend very much to get a great machine. 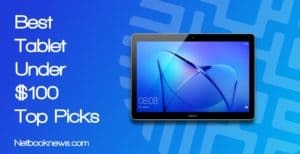 By staying on the lower end of the price range, you can save yourself hundreds of dollars and still find excellent hardware specs. But what exactly should you be looking for? 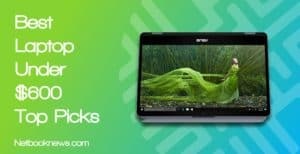 We’ve rounded up five contenders for the best laptop under $400 that will work for anyone’s needs — whether you are a college student, gamer, or casual web surfer! 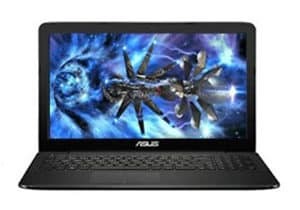 Just need a solid budget laptop for light gaming but don’t want to drop the money on a unit with a dedicated graphics card? This should be your top pick for the best inexpensive gaming laptop under $400. When staying under $400, you won’t often find anything with gamer-focused bells and whistles like LED bars or RGB keyboards. That being said, the ASUS X555DA is easily the sleekest, lightest of our contenders with a matte brushed metal design that will be attractive to the gaming crowd. With HDMI, VGA, and USB ports, you aren’t lacking in options for external gaming displays, either. With 8GB of DDR4 RAM and a newer quad core processor, this ASUS model will play most games at low settings. This particular unit also features a hybrid storage drive, which is a huge plus over other models. A hybrid drive offers better speed and quieter operation than a standard HDD, but you don’t give up any storage capacity. 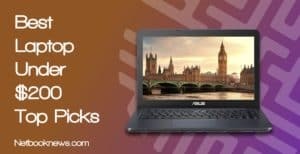 Want to save as much money as possible while laptop shopping? When you’ve got a tight budget, this should be your top pick when looking for the best cheap but powerful laptop under $400. Want reliability and performance at a low cost? 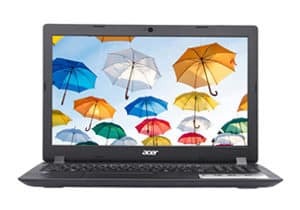 Acer is frequently the way to go, whether you are looking for an office notebook or a mobile solution for casual gaming. This version of Acer’s 15.6” laptop line runs cool even when you have multiple programs open, so you can keep it on your lap for hours without discomfort. While you won’t find any extras like RGB backlighting, this model does include one notable feature missing from many other models — an RJ-45 jack. That’s an excellent feature to keep in mind if you prefer to plug in for faster wired Internet at home or the library. 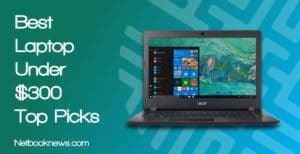 Looking for a solid low cost laptop that can work well as your basic home or work device and can burn CDs or install physical media? 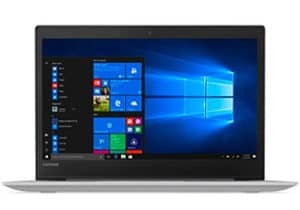 For those on a budget, the Lenovo 130 is one of the best budget laptops with a DVD-RW drive. With 8GB of DDR4 RAM, you’ll get good performance on most applications by going with the Lenovo 130. With an optical drive, you can install disc-based programs, burn CDs, or play any physical media games you may have that still require a DVD. In terms of price to specs, this option sits midway between the other models. With a low overall weight and comfortable design, this is a great option if you need something for work or light gaming. Want a sleek, light machine that can double as a tablet but won’t break your bank account? 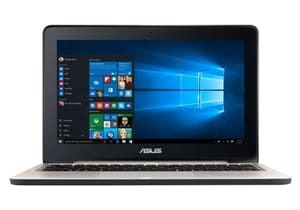 The Asus VivoBook 2 is one of the best low cost 2-in-1 laptops available under $400, and it has the best screen quality out of all our picks as well. These days, mobile devices frequently overlap with each other, as tablets and laptops start to become interchangeable. If you want a lightweight device that can swivel 360 degrees to operate as a tablet, the VivoBook should be your pick. With the Windows 10 OS in a tiny, 2-in-1 package, you get the best of both worlds here for a very reasonable price. To get those extra features at this low a cost you do have to make a few trade offs, however. Most notably, you get half the RAM here than with our other contenders, which means less speed when using multiple programs. There’s also only 64GB of storage space, so you’ll need to save your data online or get an external USB hard drive. One major element that makes this a better pick than some of our other choices — it has a full HD screen with 1920 resolution. If you want to stream high resolution 1080p video, this should be your top pick. Hoping to grab a high end machine without dropping a ton of money? If you don’t mind picking a refurbished unit, Dell’s Latitude E7250 offers a fabulous combination of high specs and low price to be the best overall laptop under $400. 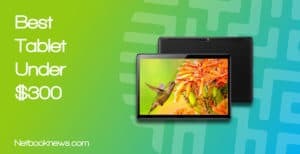 To get high end performance and fast responsiveness at this price, you need to get a little creative. This Latitude model has significantly better specs than anything else in the price range — because it has been refurbished. While these units have been previously used, they are restored to factory specs, wiped of all former data, and have faulty parts repaired or replaced. 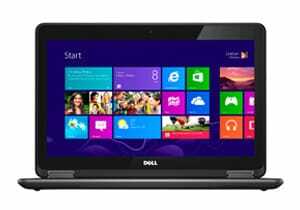 In exchange, you get blazing fast boot up and data speeds thanks to the SSD and Core I5 CPU. Simply put, you can’t find better performance than what you’ll get with this model without spending a lot more money. Even when buying a cheap laptop, it’s still possible to get acceptable frame rates at decent graphics settings if you shop smart and know what you are looking for ahead of time. In order to stay under the $400 price tag, a dedicated GeForce graphics card normally won’t be a feasible option. That can severely curtail your gaming experience, unfortunately, and prevent you from running anything on high settings. 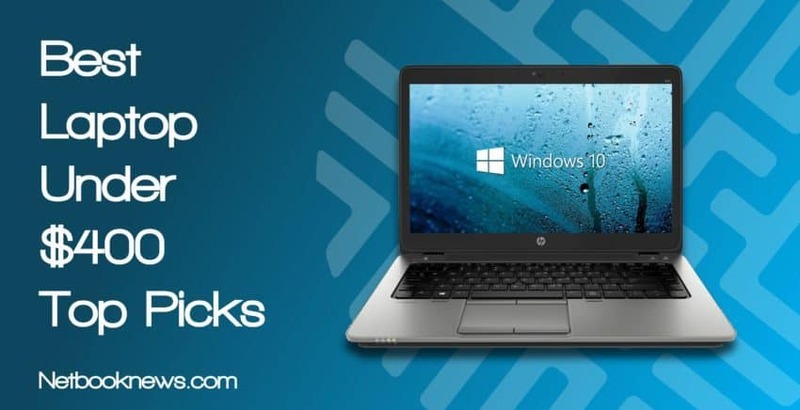 At this price range, we recommend the AMD Radeon R7 or Intel UHD 620. They won’t compare to something like the GTX 1050 card, but they will get the job done better than older technology. Keep in mind that both the Radeon and Intel integrated chips are still utilizing shared graphics memory. This means that if you have more RAM, you can expect a better graphical experience. If you have to save money by getting a lower end graphics chipset, always aim for the most RAM and fastest processor available. At this price, you can officially ditch anything that only comes with 4GB of RAM out of the box. That just simply won’t work for most games and is too big a corner to cut for saving money. In the vast majority of cases, we highly recommend a minimum of 8GB of RAM with any notebook. The only exception to that rule is if there’s a compelling trade off, like finding a faster 8th gen processor. In terms of processing speed, it’s usually better to avoid the slower Celeron processors. When you go that low, you can expect Windows 10 updates to take several hours to complete. When it comes to work or gaming, many buyers overlook the resolution of the screen and end up with sub-par viewing performance. While the graphics card, RAM, and CPU will have the biggest impact on your performance, don’t forget to take into account a laptop’s ability to display crisp and clear visuals! At this price point, a 1366 resolution will likely be your only option most of the time. For the best viewing experience (whether playing an FPS or streaming Netflix movies) we recommend shooting for HD 1920 resolutions whenever possible. Unfortunately, if you want full HD video at 1080p with a 1920 resolution, you’ll have to bump up the price. With budget model laptops, you need to balance quality and speed versus overall capacity with your disk drive choice. At this price range, you won’t normally find an a solid state drive unless there is a big trade off — like going refurbished or getting less RAM. If you intend to stay under $400, we recommend looking for anything with a hybrid drive or a secondary Optane drive for better data retrieval speeds. Processor speed, hard drive style, and RAM shouldn’t be the only features you consider — don’t forget the extras that make or a break a machine at this price range! Everything from number of ports to overall battery life can radically change whether a computer meets your needs. To figure out what you need, we recommend you start by asking yourself a few questions. For instance, do you need a card reader for transfering photos off your camera’s SD card? Do you still need an optical drive for burning DVDs or transfering data off old CD installation discs? How many USB ports will you need for external devices like a mouse, optical drive, or external monitor? Will you need to buy a USB hub to make sure you have enough ports? For the best experience, make sure to answer these questions before looking for your top contenders!